Power with punch. 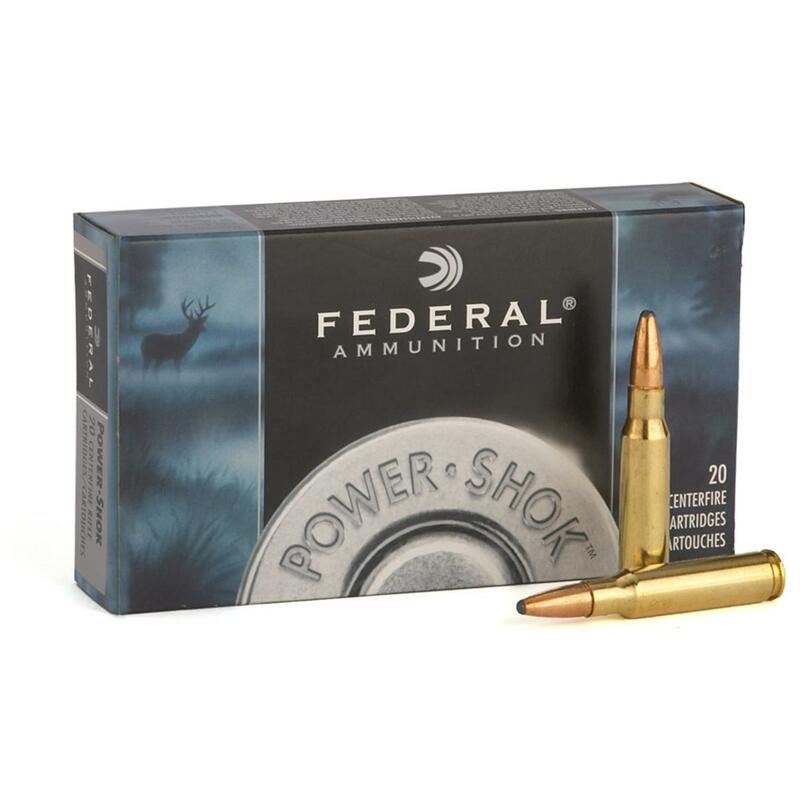 Federal® Power-ShokTM in a deep range of calibers and types for every hunting application. With Speer® soft-point bullets for maximum-expansion power hits. 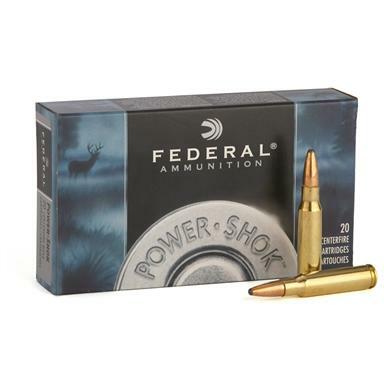 Federal Power-Shok, 7mm Mauser, SPRN, 175 Grain, 20 Rounds is rated 5.0 out of 5 by 5. Rated 5 out of 5 by StorminNorman from Great Ammo for My Model 70!! This is wonderful ammo in my Winchester Model 70 Featherweight 7X57 for close to medium range shots. It is very accurate for factory ammo and the big, heavy round nose bullet puts medium-sized game down with authority. Rated 5 out of 5 by Cazador from Accuracy and hammer hitting power In my Ruger No.1A with an 8.5 inch twist rate, the Federal 175 gr. soft point RN is both accurate, (1 inch @ 100 yds), and with the approximate 2400 fps, has just cleanly hammered everything I've shot. Perfect round for my rifle and I don't use anything else. I tried reloading, but after finding that this round was the best for my Ruger No. 1 it doesn't make sense to reload anymore. Rated 5 out of 5 by ziggy1 from Deadly bullet Shot a 1,200 lb bull moose at 309 yards with a single shot to its head. Hit it just below and to the left of its left eye.. Rated 5 out of 5 by RICHARD from Good price on hard to find ammo, fast shipping!